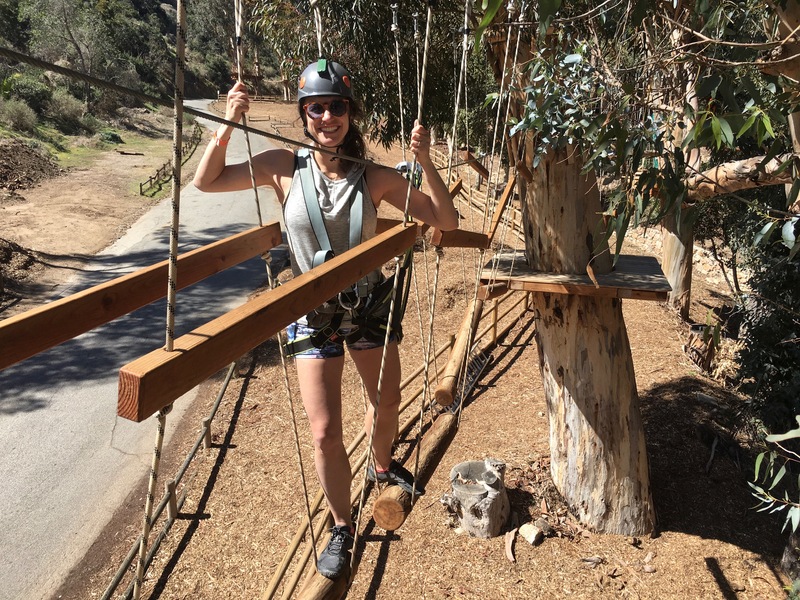 Although there are many things to do in Catalina Island, I had one objective – outdoor adventure! 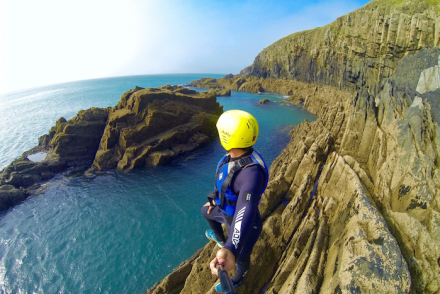 Since this would be my third visit to, I wanted to take on as many adrenaline pumping activities as possible. 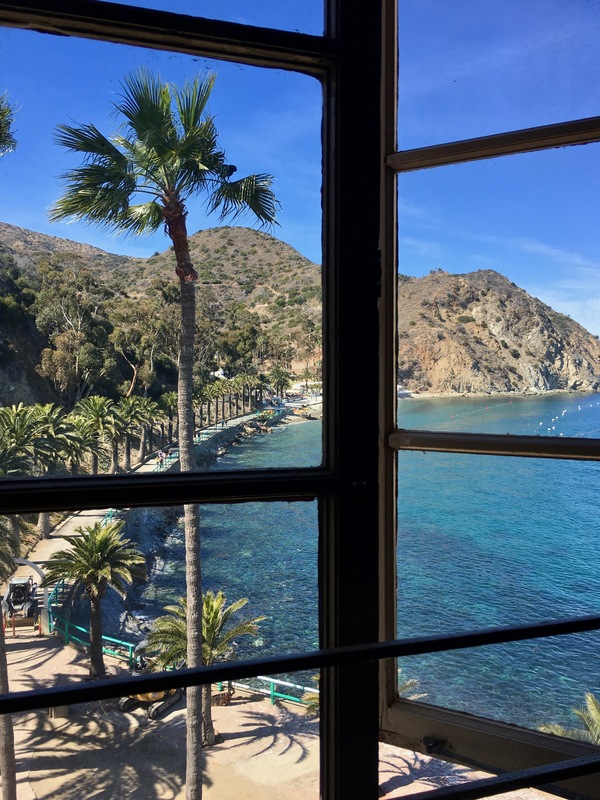 Thanks to the Catalina Island Company and the Catalina Express, mission accomplished! 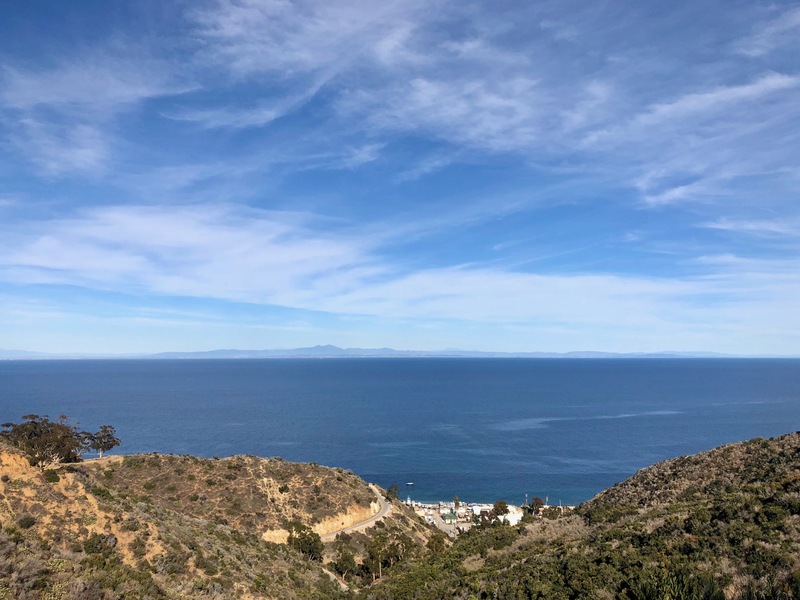 No matter how many times I visit Catalina Island I’m always blown away by how close it is to Los Angeles, yet how far removed it feels. 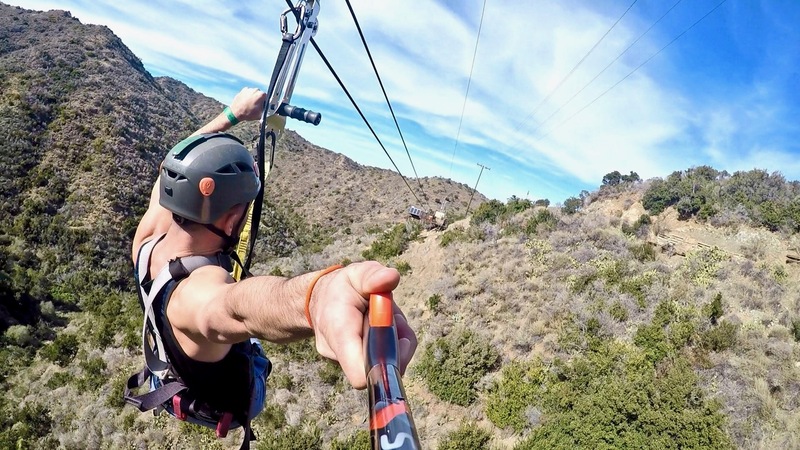 It’s hard to believe it’s actually a part of Los Angeles County! 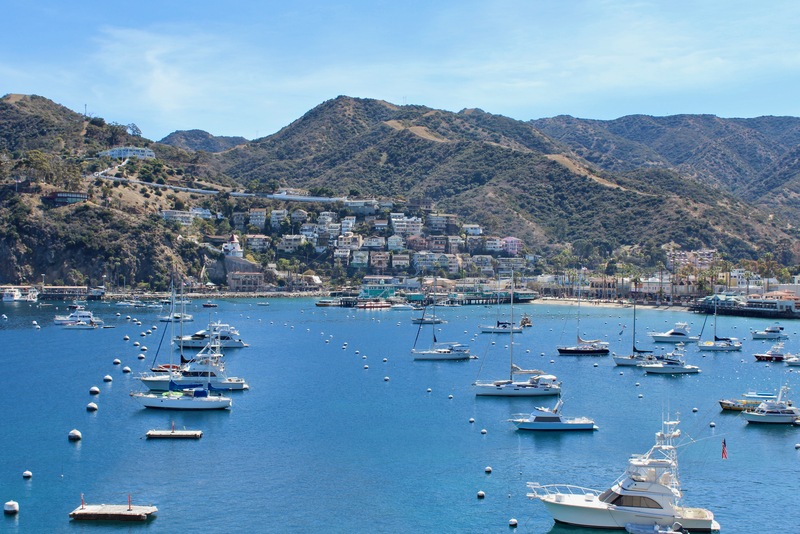 Instead, Catalina offers a Mediterranean-like oasis, just an hour from the second largest city in the United States. 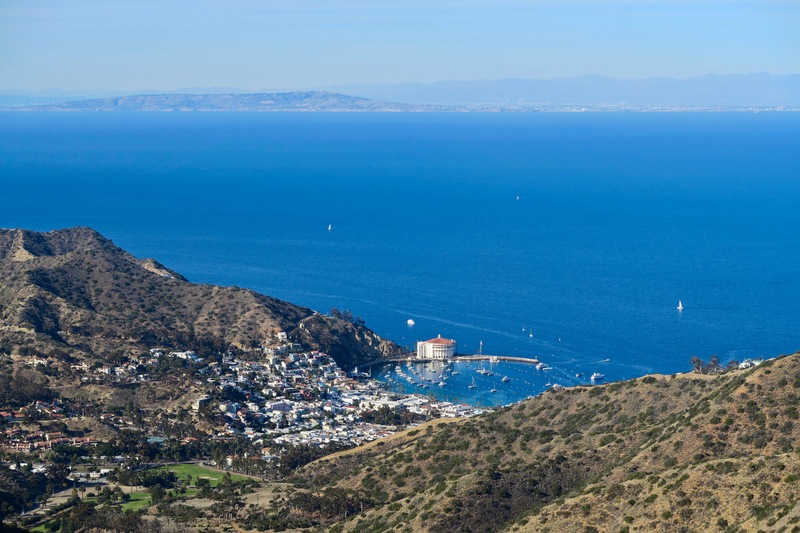 Catalina Island has two main towns – Avalon in the east and Two Harbors in the west. Avalon is 2.9 square miles in area with nearly 4,000 residents and is known for its bars, restaurants, retail stores, hotels and outdoor activities. Two Harbors on the other hand is unincorporated and remote, making it popular for camping and boating. For my recent trip to the island with The Voyagers Club I spent 3 days and 2 nights in Avalon. 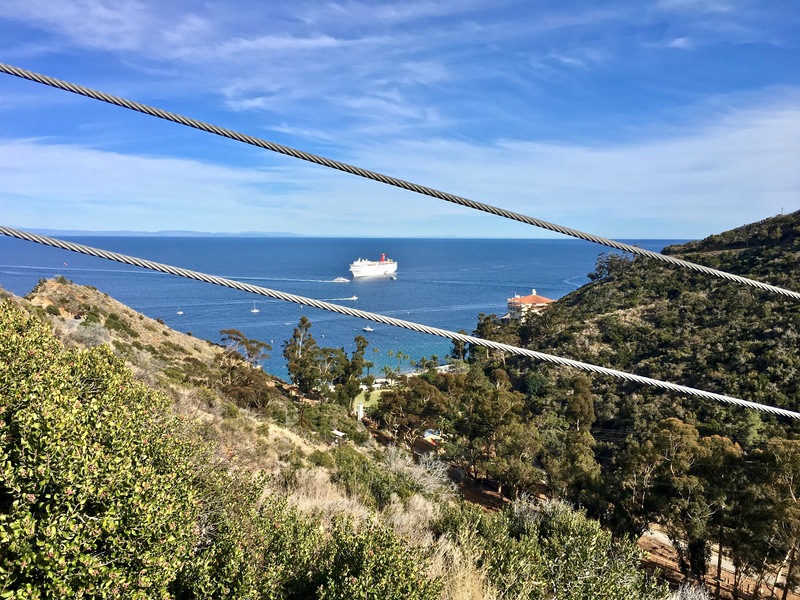 Here are my top 6 adventurous things to do in Catalina Island. 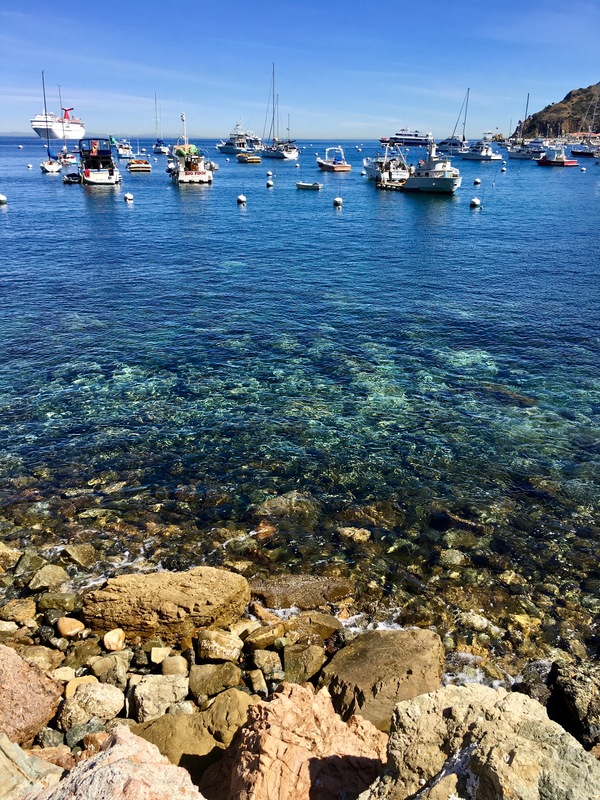 Did you know it’s possible to scuba dive on Catalina Island without certification or previous experience? I didn’t! 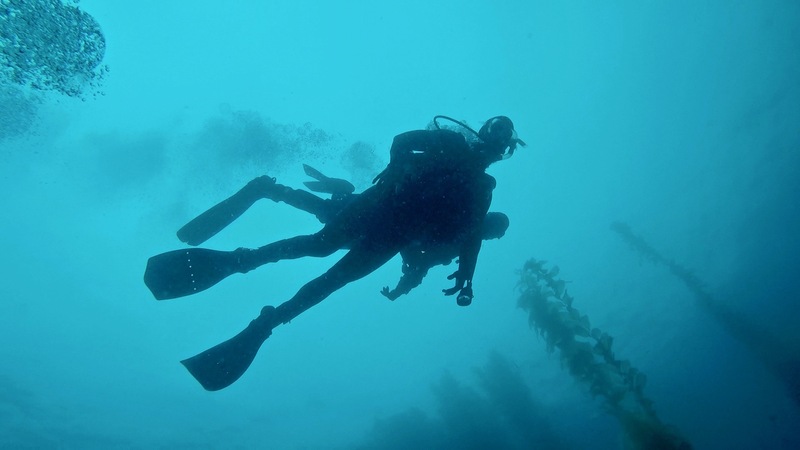 Thanks to Scuba Luv you can get a taste of what it’s like to scuba dive by actually doing it! 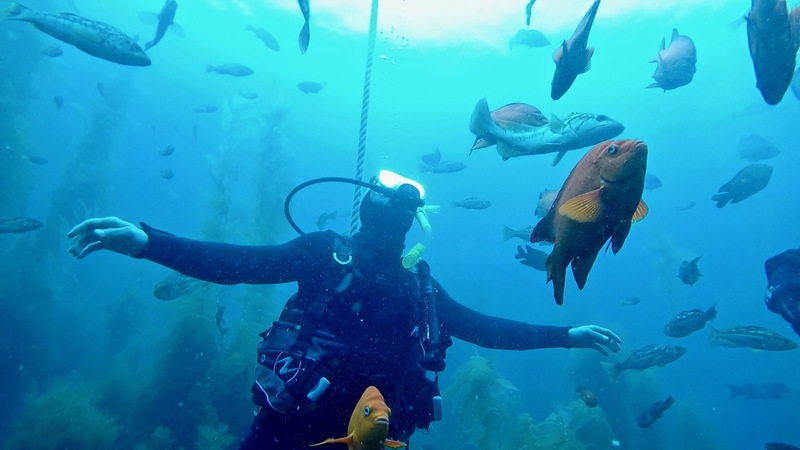 The company offers a 3-hour “Discover Scuba Class” through Catalina Diver’s Supply led by a PADI certified diver. 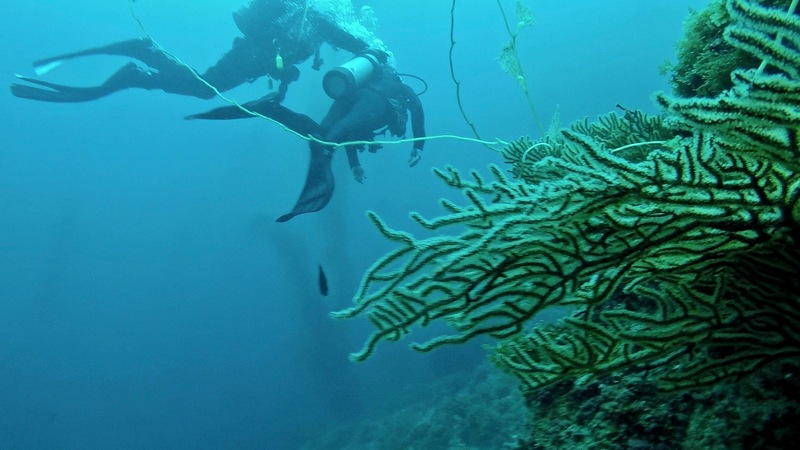 The course involves passing medical requirements, watching a 20-minute intro to scuba video, passing a simple written test and then a guided scuba diving tour for roughly 30-minutes. 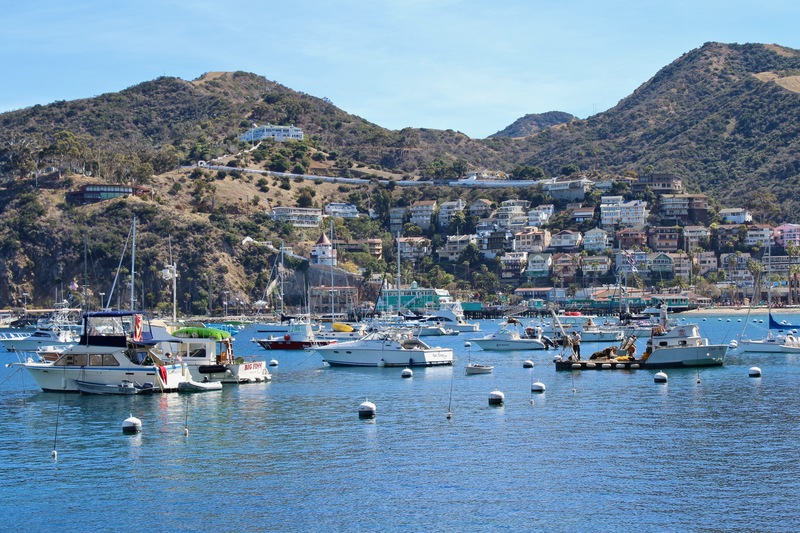 No question, scuba diving is one of the best things to do in Catalina Island, especially for first timers. 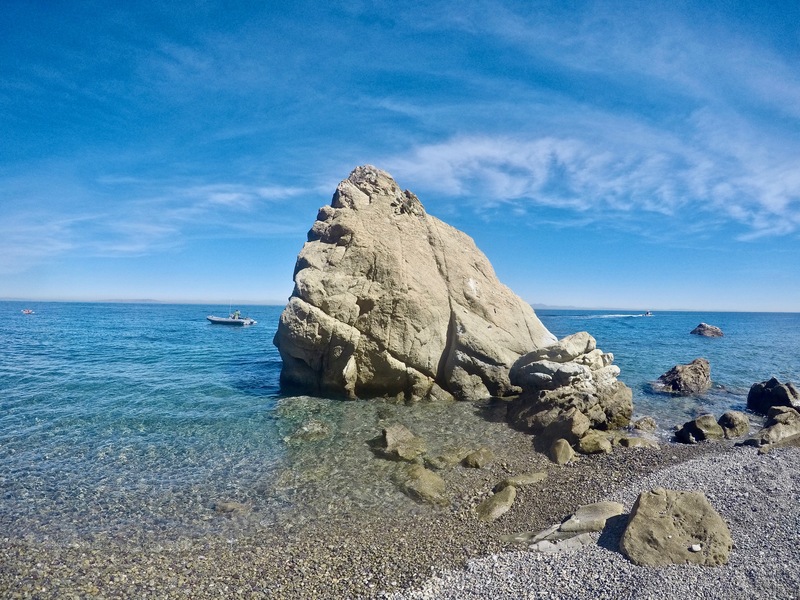 The dive area off the shore of the Catalina Casino offers a breathtaking underwater playground. 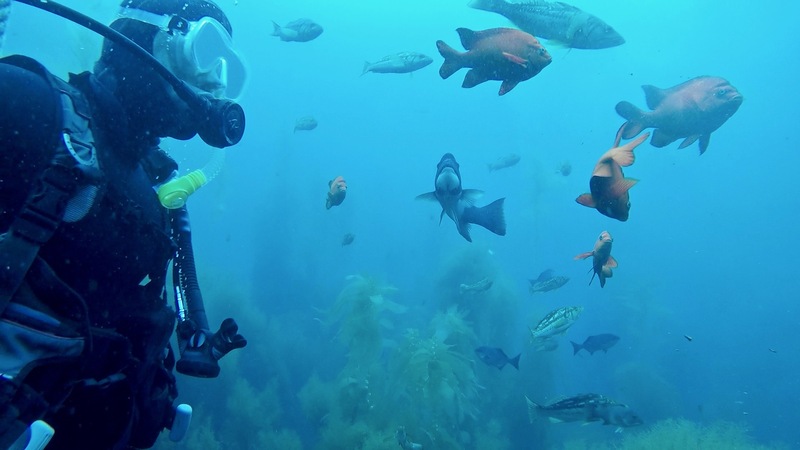 Divers swim through kelp forests above coral reefs alongside an array of fish including the Garibaldi, the California state fish. After experiencing the magic of exploring our world from an underwater perspective (finally! ), I’m hooked! Reservations can be made between 8am to 2pm daily and all equipment is provided. 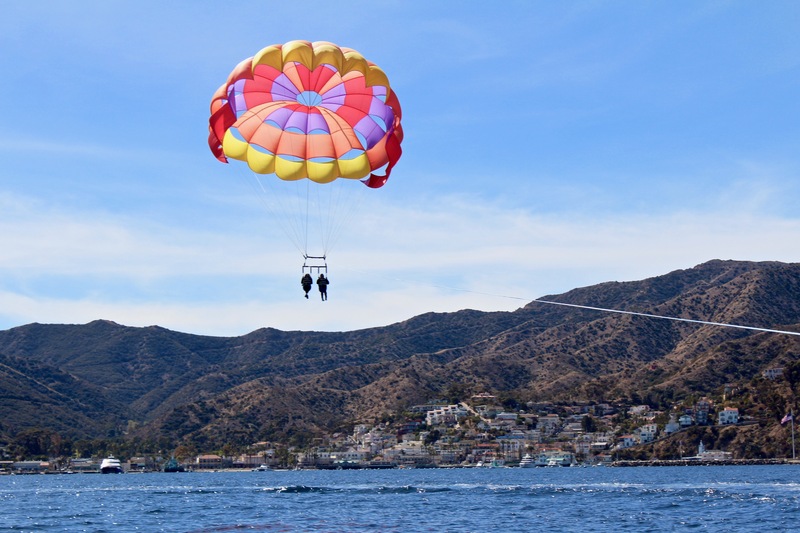 Another way to explore Catalina Island is above water… high above by parasailing! 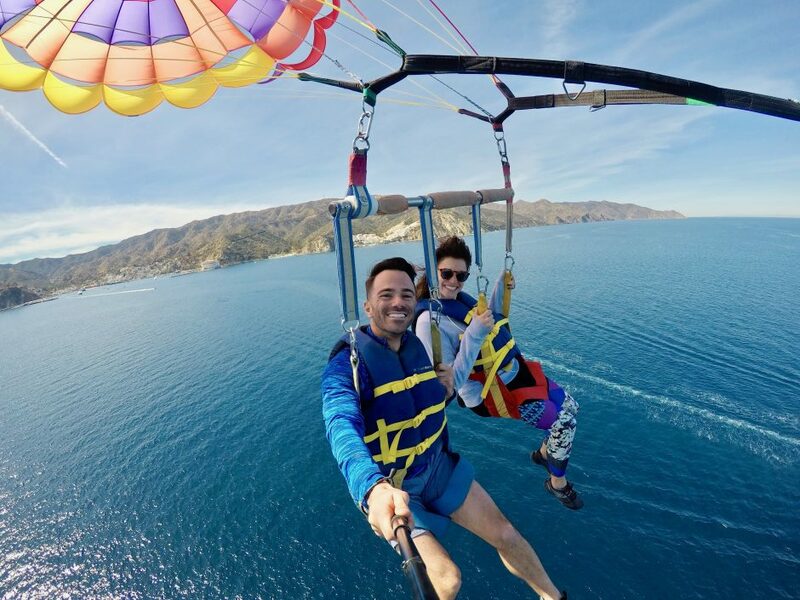 Although parasailing may appear scary, it’s actually one of the most peaceful and relaxing ways to enjoy a birds-eye view of Catalina and the surrounding ocean. Island Water Charters is conveniently located on the iconic Green Pleasure Pier and is easy to find for booking. 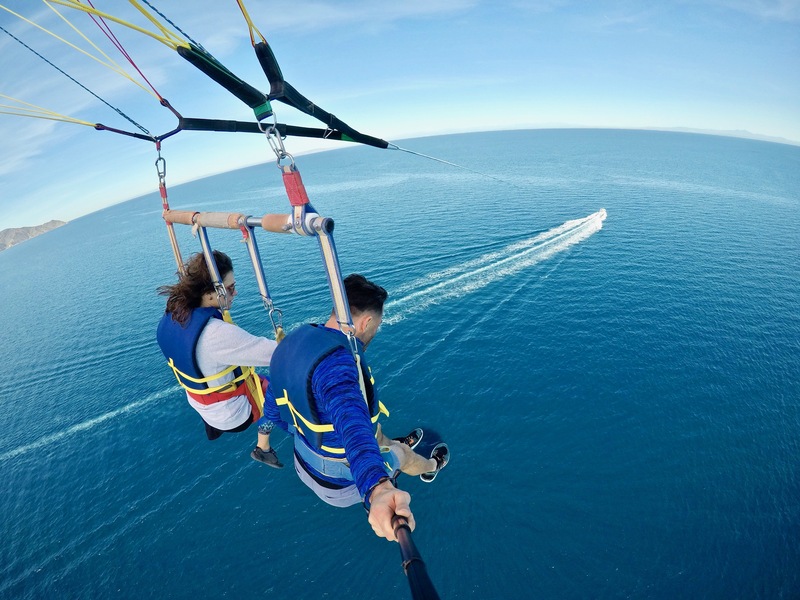 Their boats take up to 15 passengers and allow a max of 3 people to ride at a time. 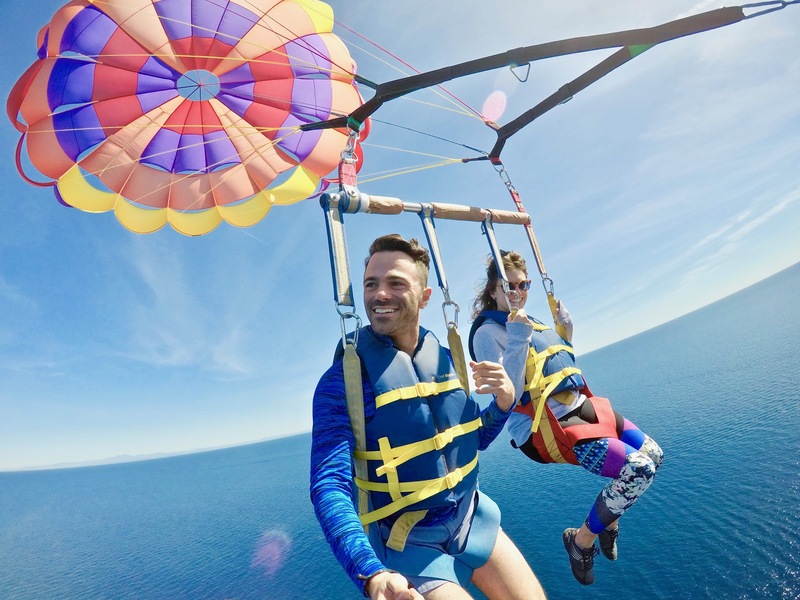 Depending on the group size, each rider gets roughly 10 to 15 minutes 800 feet above the ground taking in gorgeous panoramic views. And don’t worry about getting wet! You won’t touch the water. 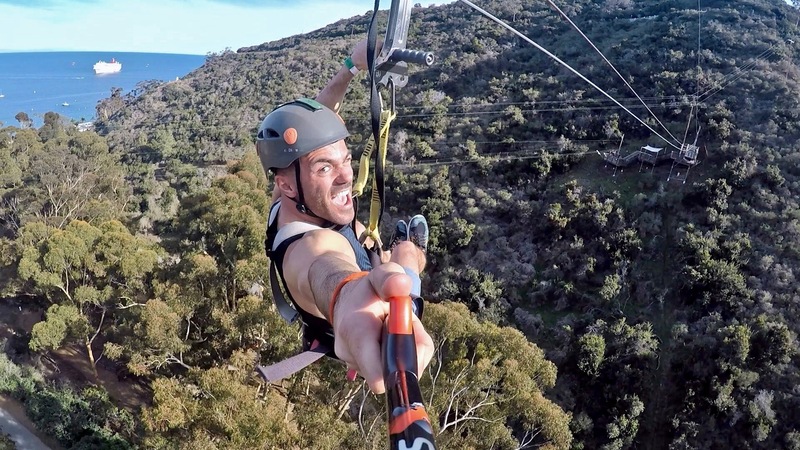 Another one of the best aerial things to do in Catalina Island is the Zip Line Eco Tour. 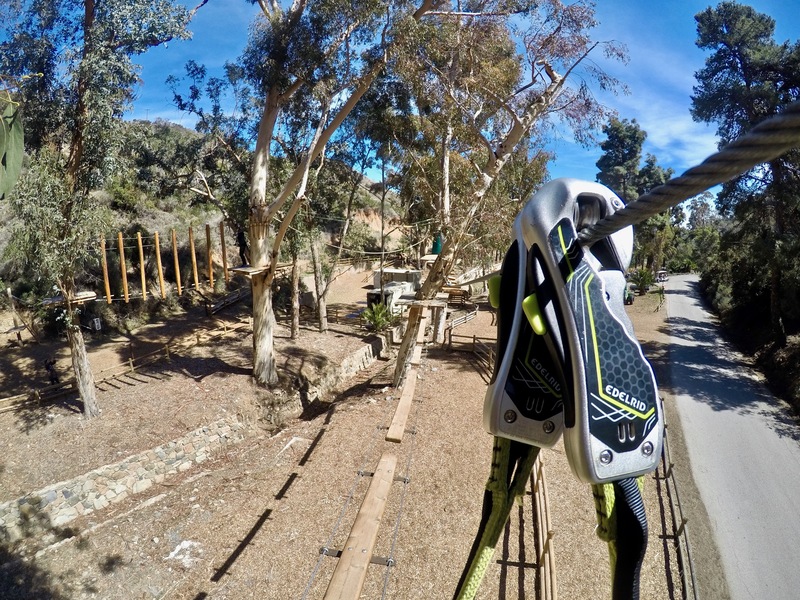 This heart-pumping adventure will take you zipping down 5 lines throughout Descansco Canyon with picturesque views of the Pacific Ocean. 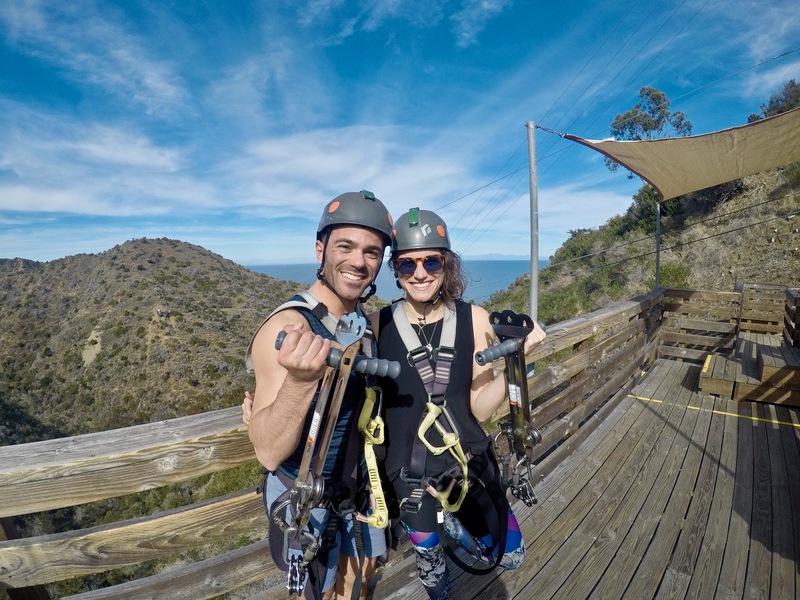 The zip lines range from 500 feet to over 1000 feet in length. 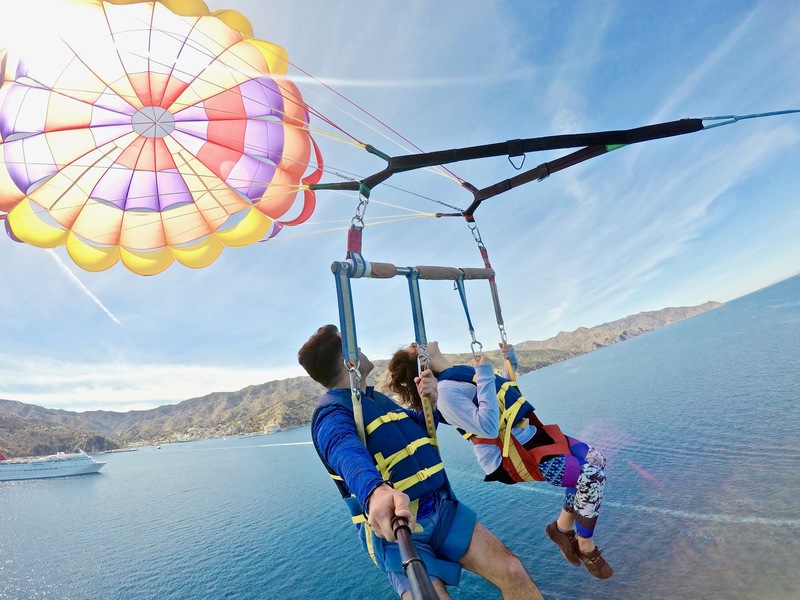 Speeds can get up to 30 miles per hour at heights 300 feet above ground. 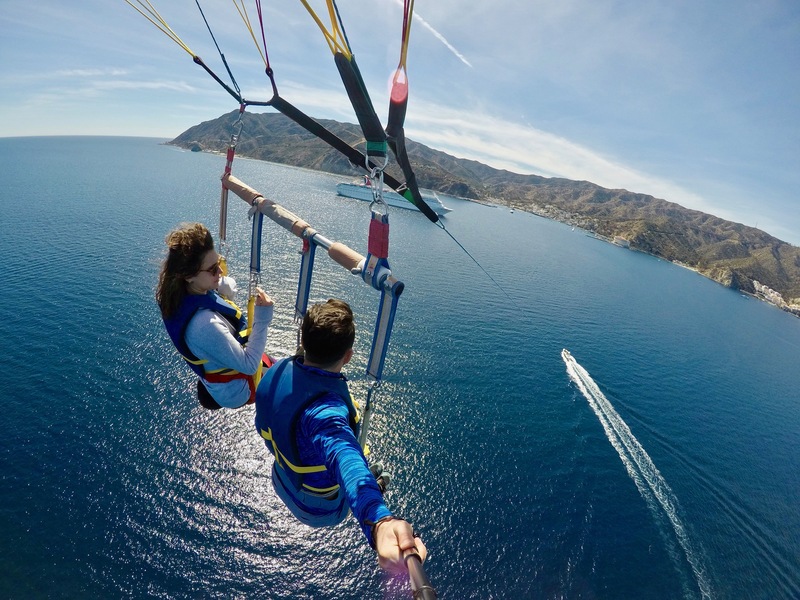 The 2-hour tour is sure to satisfy your thrill-seeking needs, but surprisingly it’s also educational. Along the way the knowledgeable guides and display exhibits at each platform educate visitors on the history, topography and ecosystem of the island. 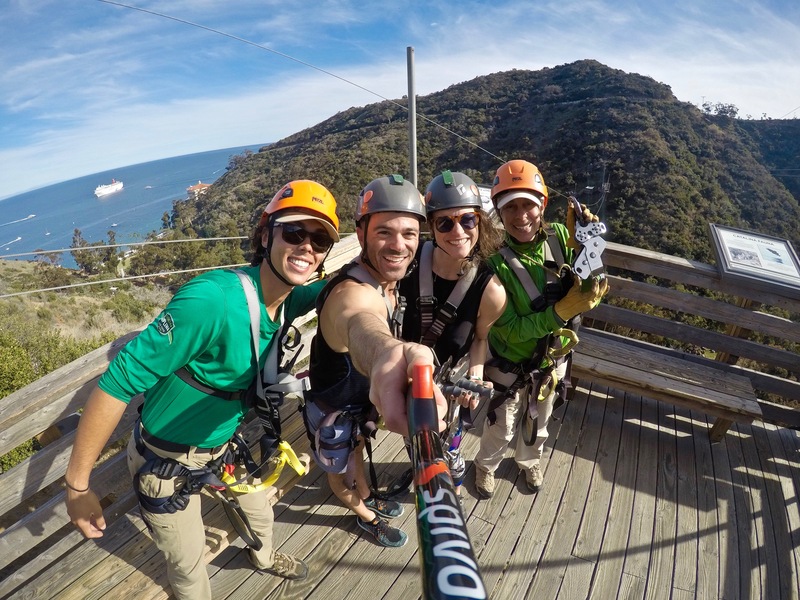 Having zip lined on Catalina Island three times, I can say it never gets old! And I learn something new every time. 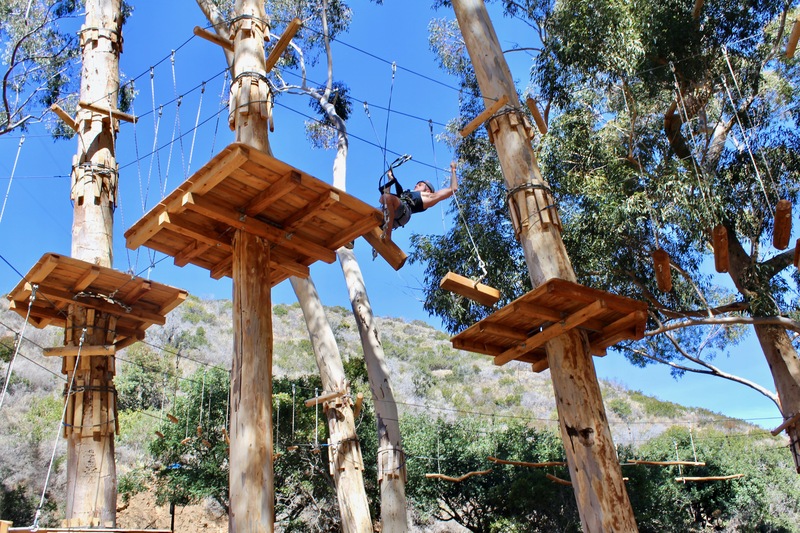 Without a doubt, the Aerial Adventure is a hidden gem of Catalina that will channel your inner child and outdoor competitor! 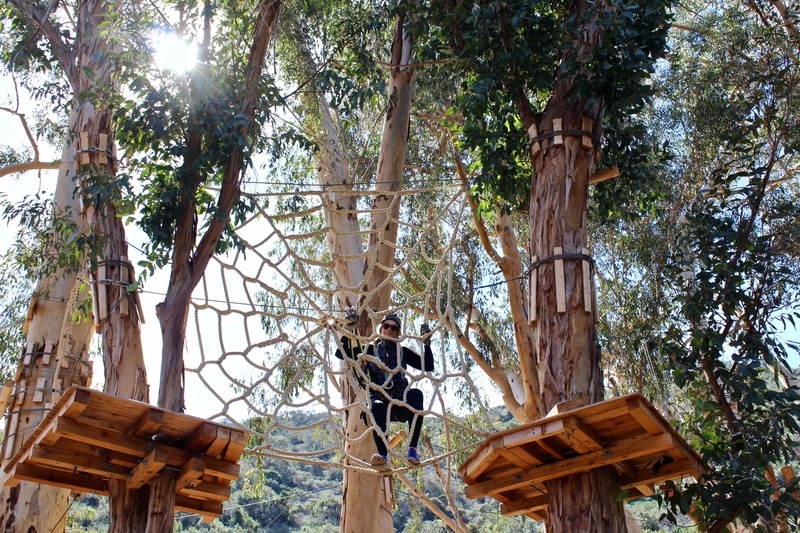 This suspended ropes course constructed in a eucalyptus forest is one of the most fun obstacle courses I’ve ever done. 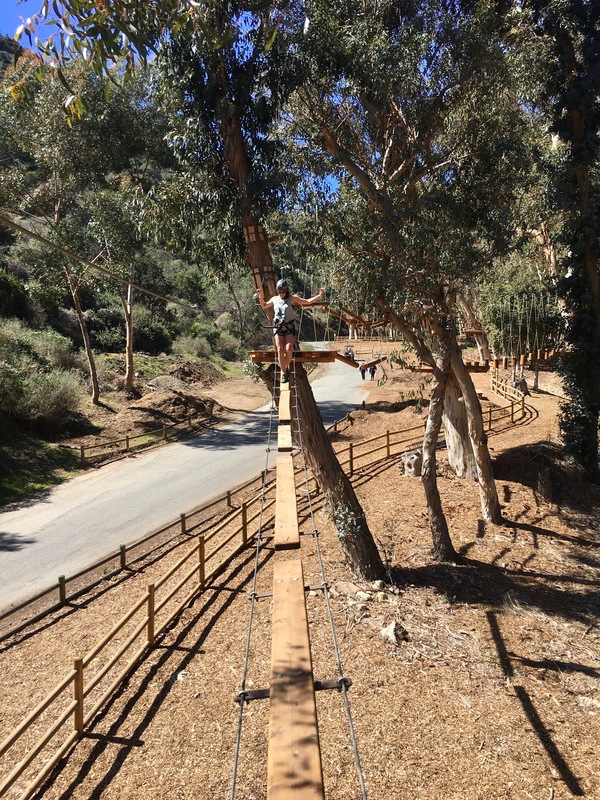 There are five paths – 2 beginner, 2 intermediate & 1 advanced – that are self-guided and include obstacles such as rope ladders, balance beams, log bridges and more! I brought my cousin with me on this trip and the two of us laughed nonstop as we conquered the course. 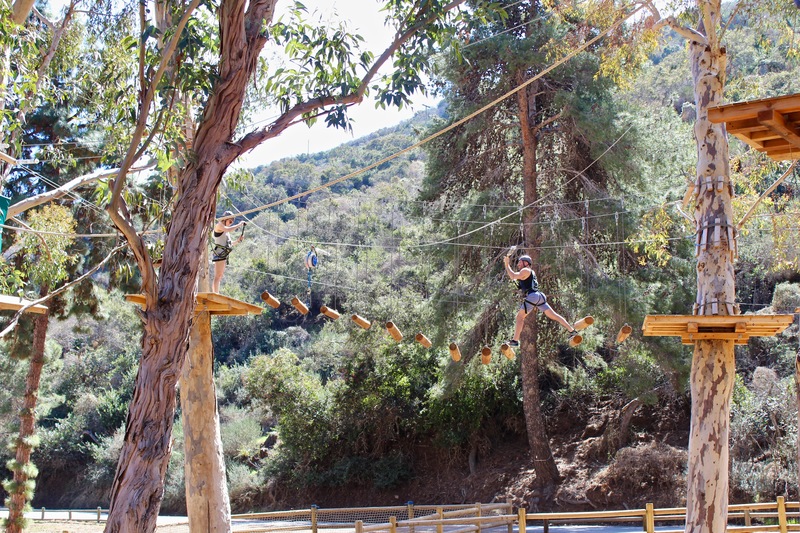 The Aerial Adventure made us nostalgic of being kids at Leaps and Bounds and Discovery Zone (RIP to both). 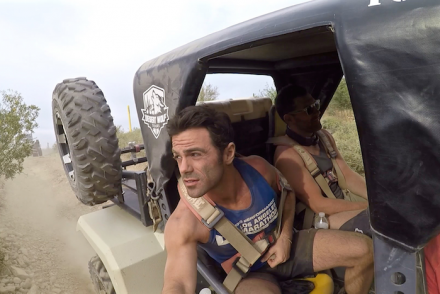 You can run the courses as many times as you want in the allotted 2 hours. We completed all except 1 beginner path. It’s also fascinating that not one piece of metal touches the trees. Wooden pieces are placed in between the trees and metal to make it 100% eco-friendly. 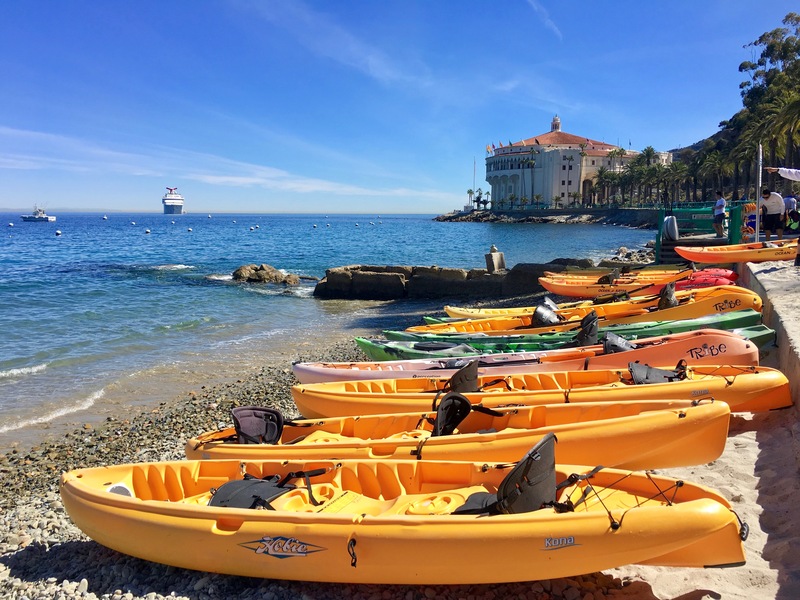 The most carefree way to explore Catalina’s coastline (while getting a light workout) is kayaking. 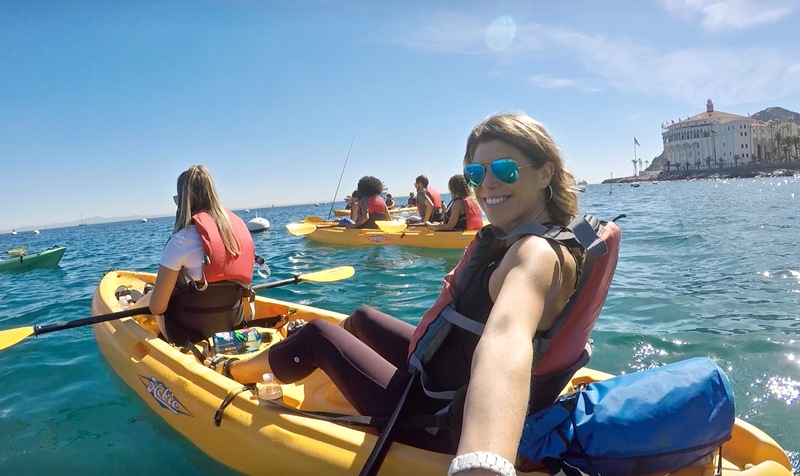 You can rent kayaks at Descanso Beach and explore the nearby cliffs and secluded coves while paddling through 50 shades of blue water. 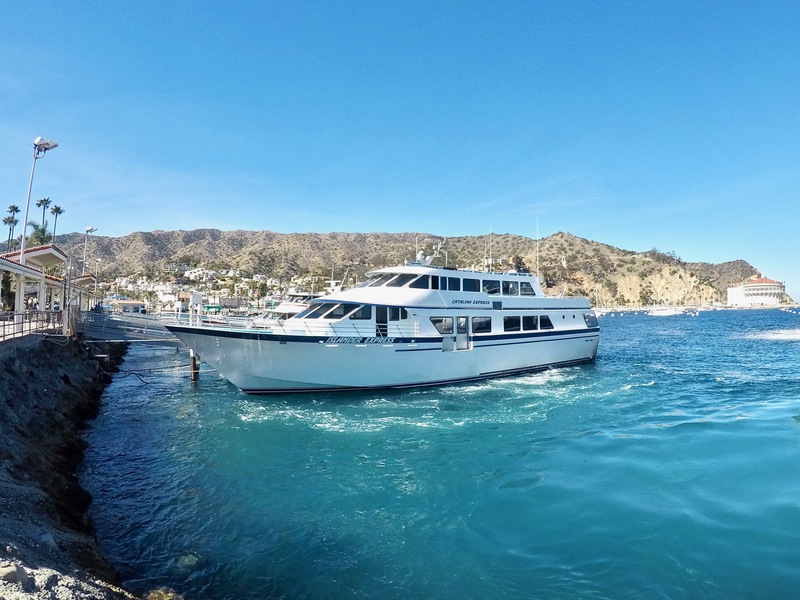 If you’re interested in traveling to Catalina look no further than the Catalina Express. 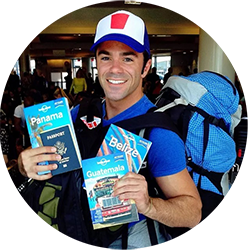 The company offers up to 30 departures daily year round. 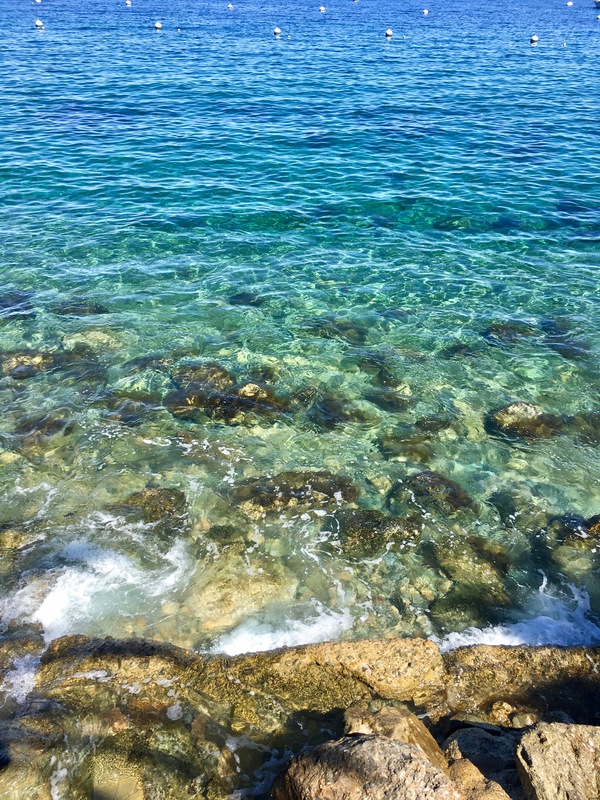 Service is available to Avalon and Two Harbors from Long Beach, San Pedro and Dana Point. During this trip, I traveled with my brand new G-RO Luggage and I couldn’t be happier with my new carry on. 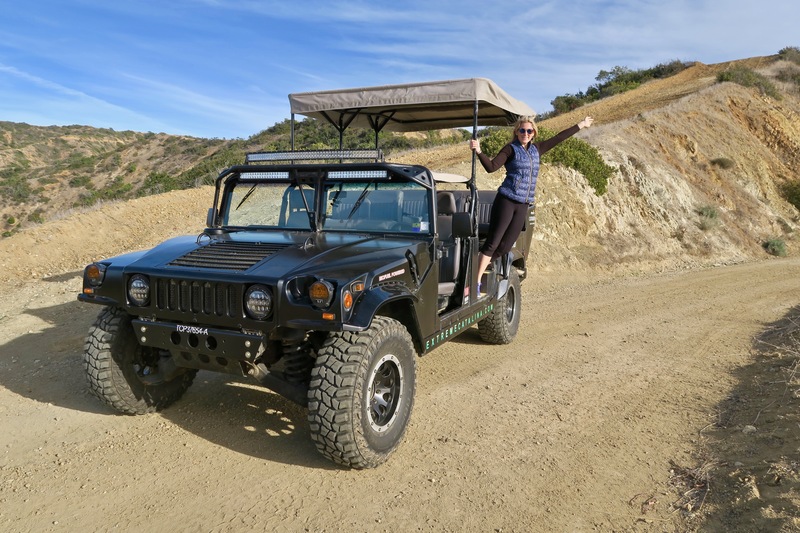 I love it’s large wheels that make it easy to roll anywhere, it’s sleek, compact design that still offer a lot of storage and the power charger that makes charging my phone anywhere easy. If you’re looking for some new and improved luggage, this is hands down the best carry on I’ve ever had. If you’re looking for a place to stay, I highly recommend the Pavilion Hotel. 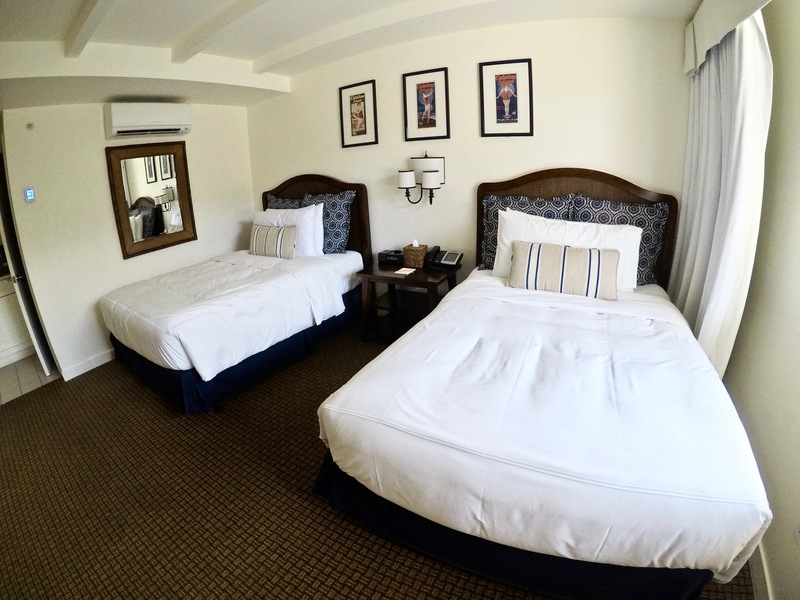 The hotel is in a prime location on the main street overlooking Avalon Bay. 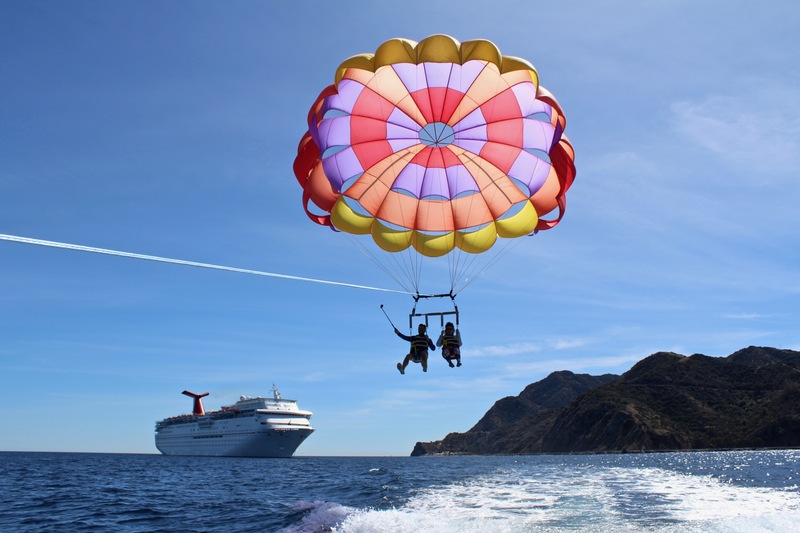 It’s a great home base for all the things to do in Catalina Island. 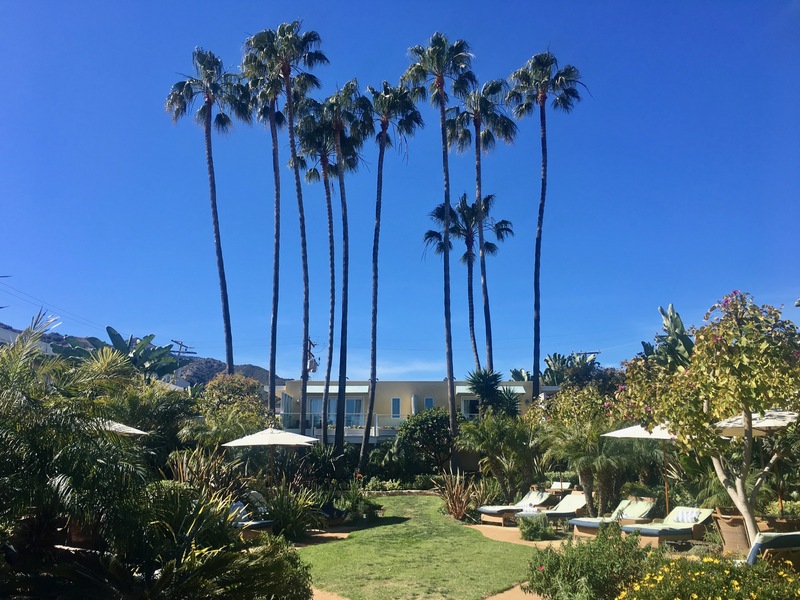 The central courtyard offers a tropical vibe and a cozy fire pit area. 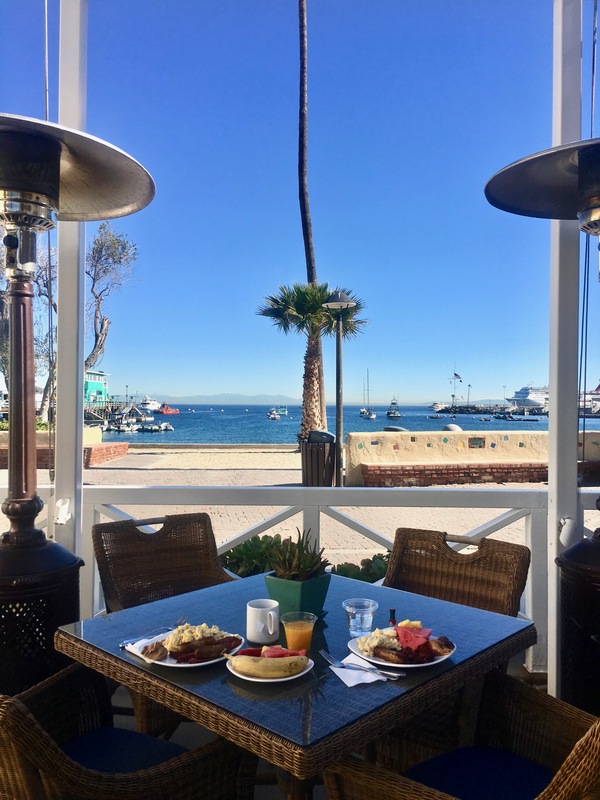 Breakfast is included and my favorite part is the complimentary wine and cheese happy hour every night from 4:30pm to 5:30pm. Scuba diving is always on top of my list. There’s something just fascinating about the underwater world. Agree! I can’t believe I waited this long to do it and want to do more dives! I always come to your blog and reading your all recent and top posts. 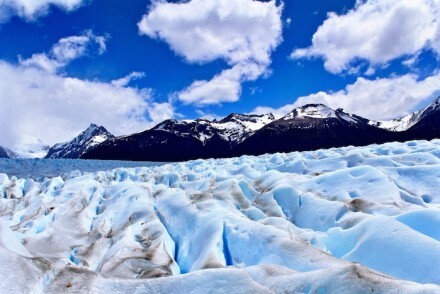 I think those posts are very helpful for that traveler who really want to travel. After reading this post, I think It is an adventure type. I mostly like the Aerial Adventure. Thanks for sharing this interesting post. 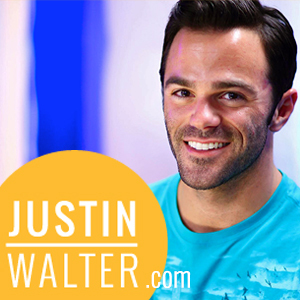 Thank you so much for checking out my blog! 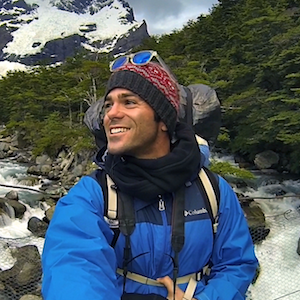 I always love connecting with fellow adventurers and hope it inspires readers.